What does the southern mother really mean when she says you look “right cute.” Well, anything but right or cute. 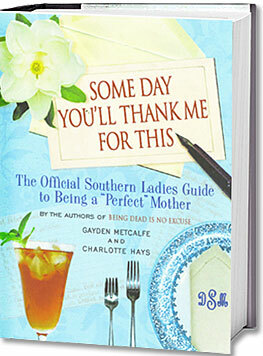 In this funny but loving tribute to southern mothers, the authors translate her language and reveal what makes her special. If you have a southern mother, you’ll be nodding in recognition—and, if you don’t, you probably won’t believe it’s true. But it is—oh, yes, it is!